Over 35 year experience in customized machines. Total solution to automated complete production lines. Responsible maintenance service. Providing your machine design drawing to us → Planning the entire working processes → Designing the machine frame → Assembling all related parts of designed machine in our factory → Precommissioning the machine by working the workpieces → Onlining and finishing the assembly of machine → Exporting or transporting the machine to your factory → Commissioning the machine. 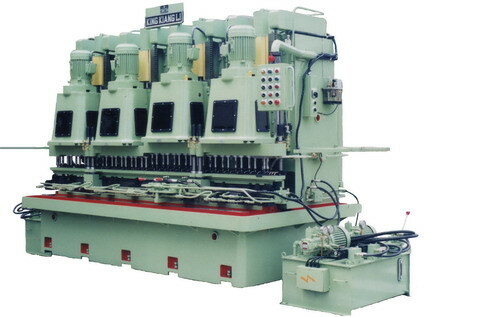 engine for automobile/motorcycle, frame for air conditioner, engine frame for agricultural machines, aluminum alloy parts for aerospace industry, hydraulic pumps, parts for hydraulic products, various aluminum alloys, alum alloys, castings, various workpieces made of metal materials, hardware parts, automated working for drilling, tapping, end milling, surface milling, boring, reaming, cutting. etc,.